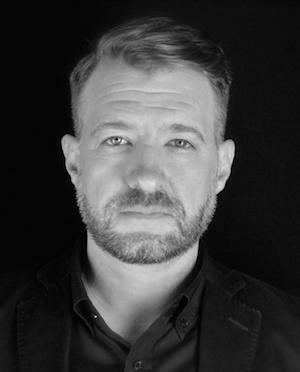 Caden Manson is the graduate directing option coordinator of The John Wells Directing Program; the artistic director of New York-based, new media performance ensemble Big Art Group and the editor in chief of contemporaryperformance.com. Big Art Group uses language and media to push formal boundaries of theater, film and visual arts. It creates culturally transgressive works and innovative performances using original text, technology and experimental methods of communication. The company’s works exists in the contemporary stream of expanded performance, wherein traditional narratives and established performer-audience relationships have been opened up. Manson's work blends high and low technology, marginal and mainstream culture, and blunt investigation to drive questions about contemporary experience. He has co-created, directed, set- and media-designed 20 Big Art Group productions over the last 15 years which have toured nationally and internationally to dozens of theaters and festivals such as PS122, the Kitchen, Dance Theater Workshop, Festival d’Automne à Paris, Theater der Welt, Wiener Festwochen, Hebbel am Ufer, Usine C, Sommerszene and many others. Manson has lectured and shown in Austria, Germany, NYC, Portland, Berlin, Singapore and Vietnam; has taught in Berlin, Rome, Paris, Montreal, NYC and Bern; and his ensemble has been co-produced by the Vienna Festival, Festival d’Automne à Paris, Hebbel Am Ufer, Rome’s La Vie de Festival, PS122 and the Wexner Center for The Arts. His writing has been published in PAJ, Theater Magazine and Theater der Zeit. He is a Pew Fellow, a Foundation for Contemporary Art Fellow, and a MacDowell Fellow.